Well it had to happen. For a long time Ladera Ranch Realty formally owned and operated by DMB ladera, the original developers of Ladera Ranch had a prominent presence in our community. You would see their fancy signs everywhere along with the prominent store front with hundreds of flyer’s in the window. Having been a resident and working in the community as a broker, I can say the writing was on the wall. First of all, I did some deals with Ladera Ranch Realty. Its not that the people were bad, its just that one hand didn’t seem to know what the other was doing. They had a decentralized “team” concept. In other words, nobody really owned the account. Everybody worked on it. I think that we proved a long time ago that communism doesn’t work. Its a lot better to have a skilled agent whos salary is on the line when selling your home. They just try a little harder. Second, they always seemed to price homes too high. 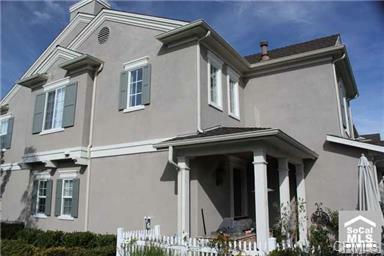 Now I am a home owner in Ladera Ranch, so believe me, I really like high values in my community. But its just about having a business plan that works. Lets get real. The global economy is melting down. Do you actually want to sell your home? Or are you just looking to list it? Third, they seemed to always spend money where it wasn’t really effective. Sure, it worked for impressing sellers. But your hiring somebody to find buyers, right??? As an Internet specialist, I can tell you that their web site was not properly marketed online. Put these things together and you don’t sell homes. If you don’t sell homes, you go out of business. Its as simple as that. If you live in Ladera Ranch and want to sell your home. Check out my new site specializing in Ladera Ranch Real Estate.